Product prices and availability are accurate as of 2019-03-22 09:35:08 GMT and are subject to change. Any price and availability information displayed on http://www.amazon.com/ at the time of purchase will apply to the purchase of this product. 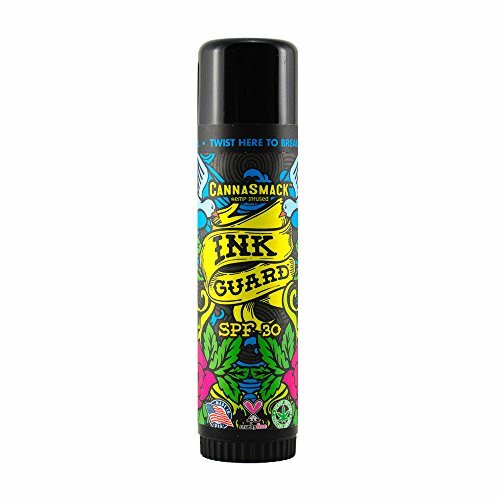 CannaSmack Ink Guard with SPF 30 provides broad spectrum UVA & UVB defense for your ink from damaging UV rays that can fade or blur tattoos. 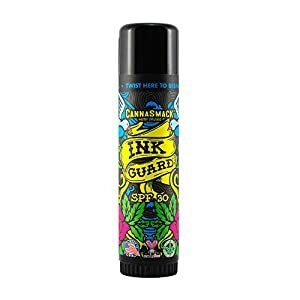 Our CannaSmack Ink Guard SPF 30 sticks are enhanced with premium Cannabis Sativa (Hemp) Seed Oil and include a light and silky solution that hydrates your skin. 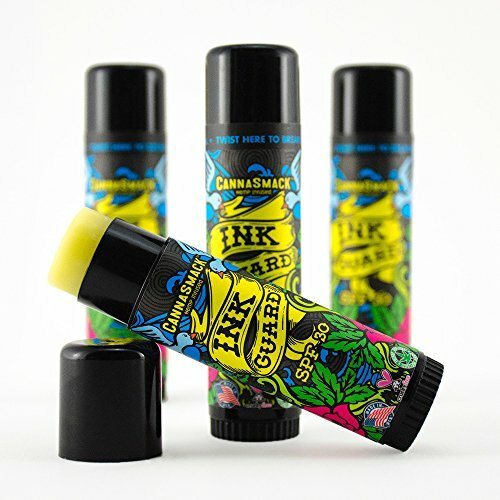 The simple to use stick applicator enables you complete control over your Tattoo coverage. Net Weights: 0.5 oz Inactive Ingredients: Beeswax, Coconut Oil, Sunflower Oil, Cannabis Sativa (Hemp Seed) Oil, Aloe Vera Leaf Extract, Vitamin E Acetate, Vitamin E. Active Components: Oxybenzone (5%), Octinoxate (7.5%), Meradimate (5%), Octisalate (5%).